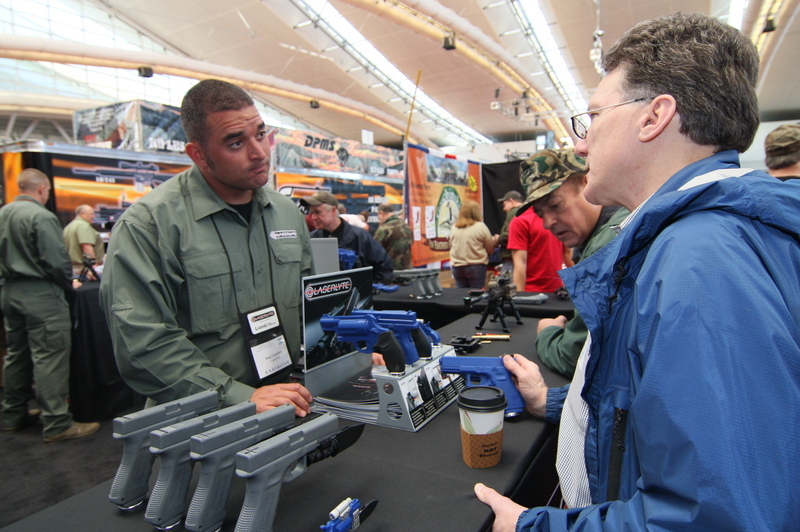 Pyramyd Air Range allows visitors to try out over a dozen different air rifles ranging from $70 up to $2,000 competition rifles. 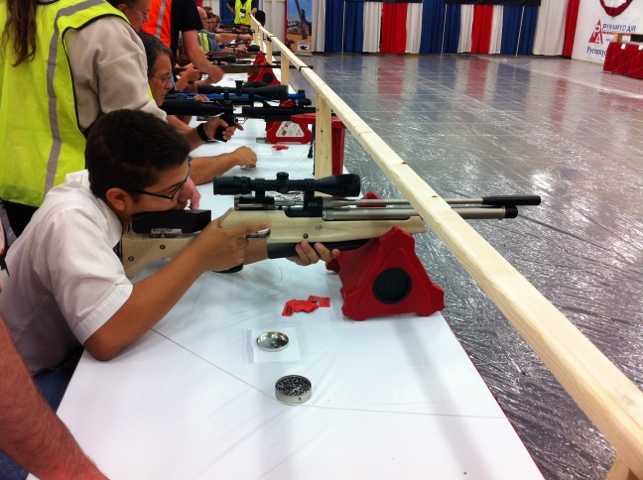 Loading a competition air rifle. Mechanism is extremely smooth. Great gifts for Boy Scouts of America. 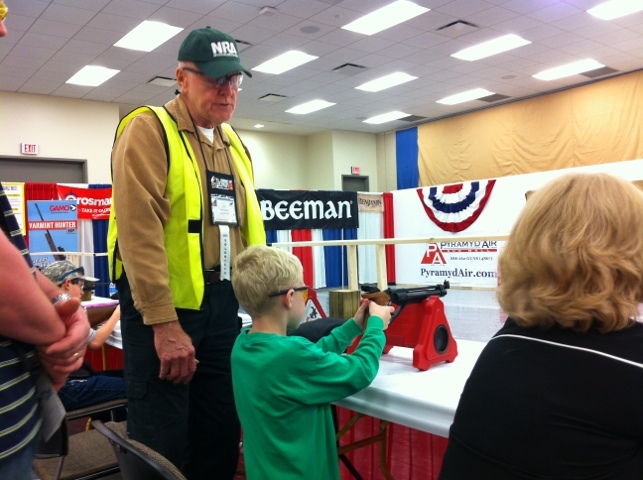 Great for even young (supervised) shooters! 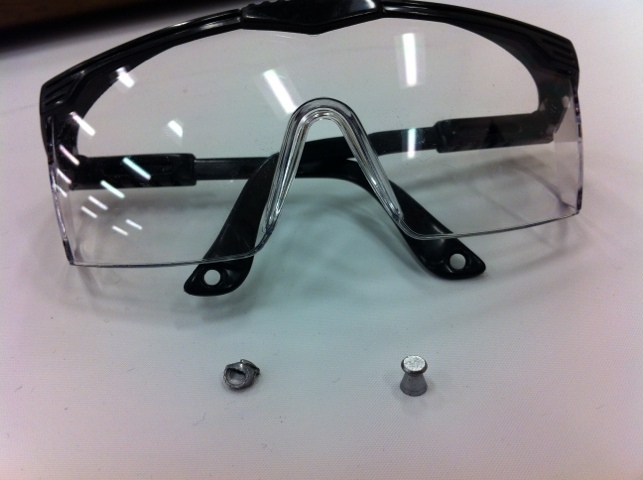 Why you need to wear eye protection even with air rifles. Pictured here is a ricochet pellet that hit me. You can see the velocities of modern air rifles flattened the .17 caliber pellet. Consider what one could do to your eye! Chris Cox speaking about Supreme Court Justices. 3 justices will be over 80 years old by end of President Obama’s term. 30 years ago there was a discussion of a Nationwide handgun ban. Now we’re talking about a Nationwide Right-to-Carry law. Chris Cox addressing 3rd party candidates. 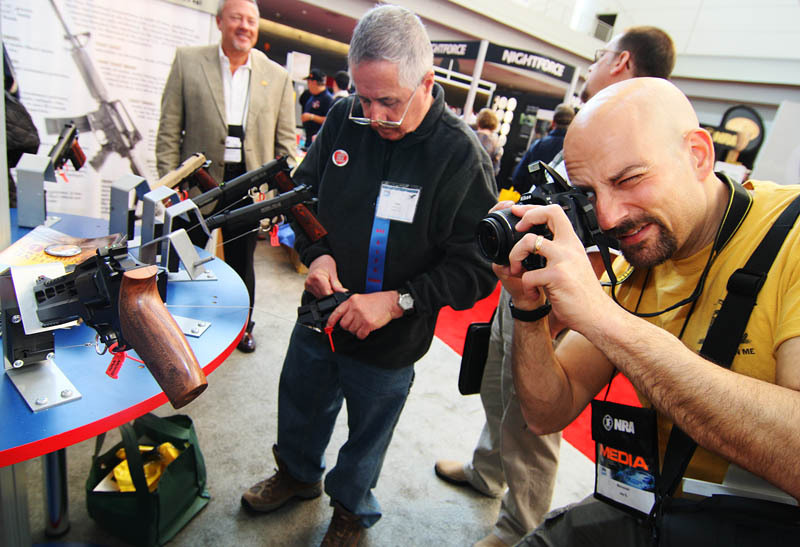 Media talks about dozens of lobbyists the NRA has in Washington. “We have 6.” So it’s very hard to deal with all the smaller races. Determination is fair and systematic. We don’t make determination based on affiliation. Nor on race, gender, or any other aspect except their record on the 2nd Amendment. 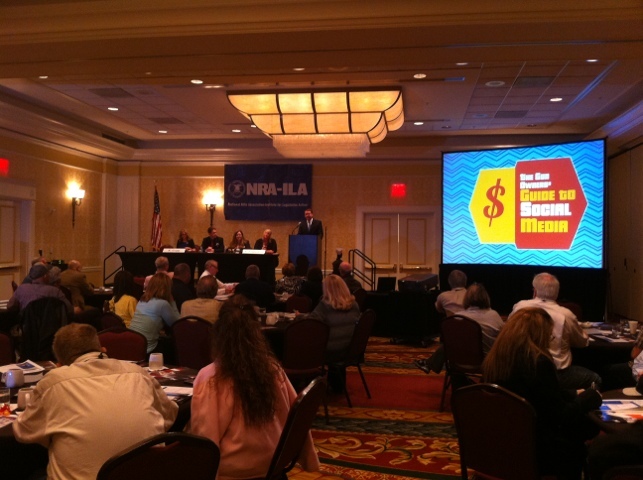 Cox sake about some of the other laws that NRA seems to have supported. That seemed outside of the the core 2nd Amendment cause. I did feel Chris Cox could of provided a stronger answer. Only 4% will unfriend someone on politics. – Stumble Upon, 1 billion+ stumbles. 70 minutes session. – Google+, Mostly male. Not much time used. First step find your audience. Your friends, family, etc. You don’t need to be breaking news. Just share. Find, Balance, New Tech, Experiment (use tools), Be Visual (use photos/videos), Join In, Talk…..
10x more likely to be followed on Twitter if you have photo or logo. Don’t want to create content. Then fan “NRA” and like or retweet. Watch a YouTube video “thumb” it up. Networks are built on real life. Friends, family, hunting buddies, co-workers. Social Networks provide real time outreach, measurable impact, peer pressure….influence others. 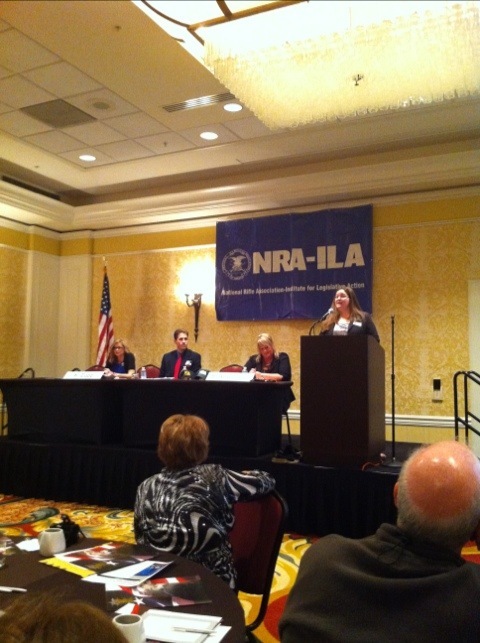 Krista Kupp – senior coordinator and NRA university. Getting the Youth Vote. Success in 2012 will depend on the youth vote. 2008 – President Obama won youth vote by 2:1. Based on youth vote Obama would have received 455 electoral votes vs 57 McCain. Youth voter turnout up 50% in 2008 because President Obama excites them. Youth voters not impressed this year, not as excited with Obama. 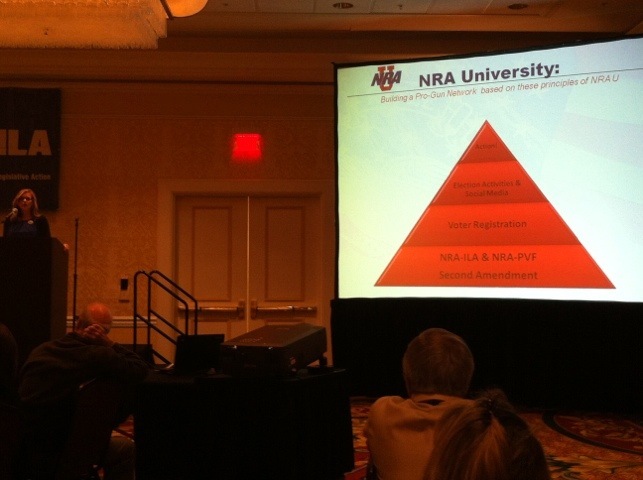 52 NRA Universities in 20 states since 2007. Reach out to campus carry organizations, college Republicans and college Democrat organizations. 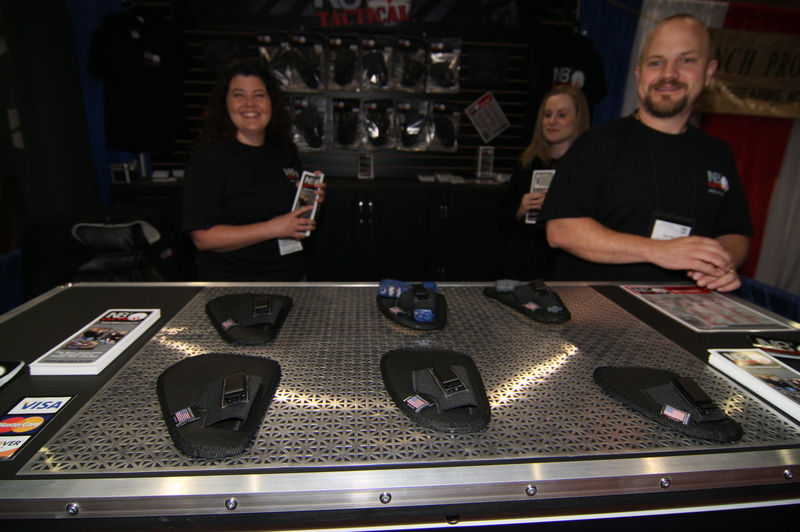 Students for concealed carry introduced bills in 30 states, and positive effects in 10 states. Campus carry movement is reaching into Europe too. How did a group of students with no money & just social networking, form one d the most effective new grassroots organizations? 4. Be better than your opponents. While our cause excels every time a gun free zone fails. We can’t be happy for that. 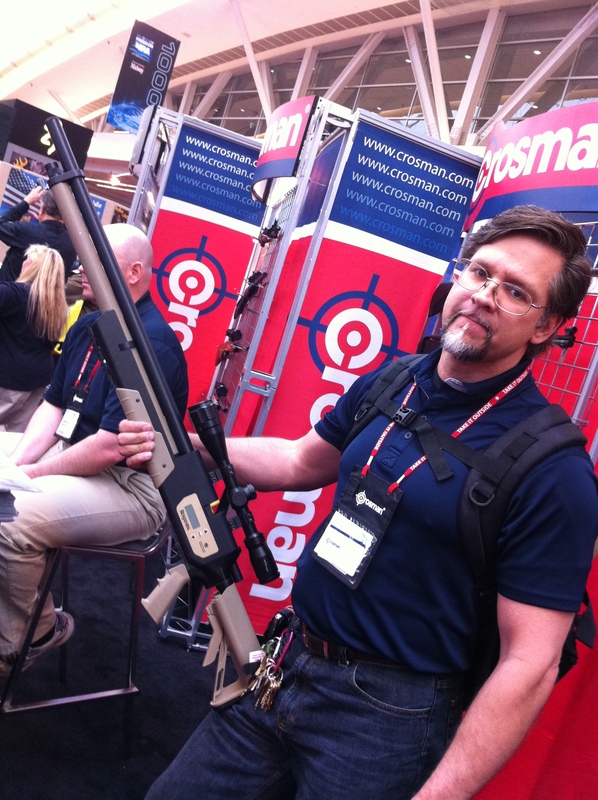 Gun rights movement is not made up of one groups, rather it’s made up of many smaller groups. Changing public policy is matching up the nail (public issue, idea, policy change) with the right hammer (We are the hammer). Tough issues require bigger hammers. To any who may of missed our April Fool’s satire, the N.U.G.U.N. 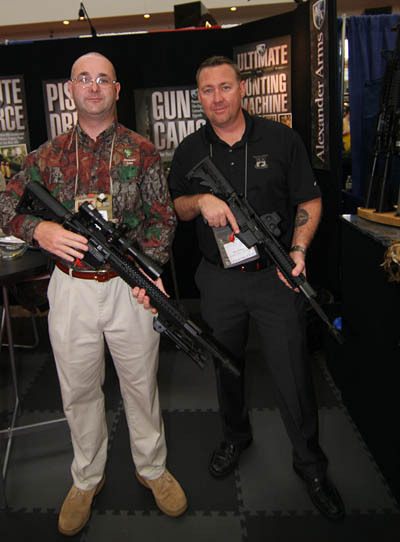 Blog is still the pro-2nd Amendment, Freedom and Liberty blog it’s always been. We hope you enjoyed the humor and satire yesterday. The idea popped into my head a few weeks ago and I just couldn’t resist. 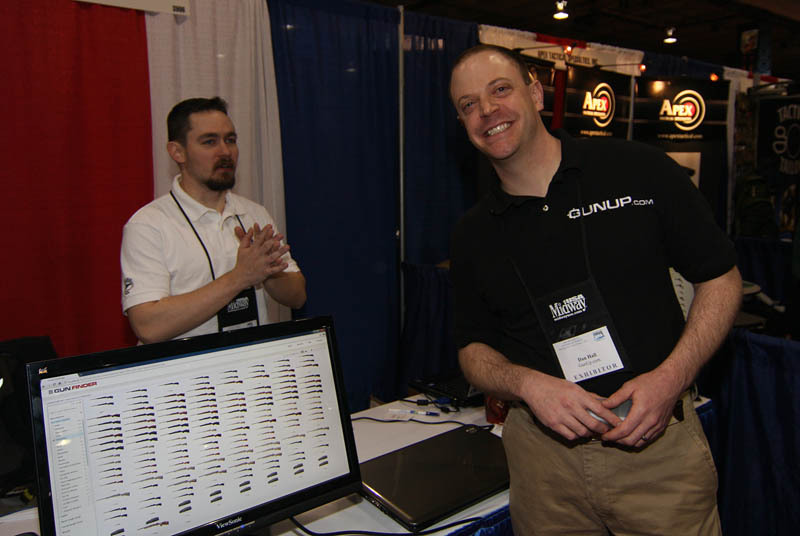 Expect more content for freedom lovers and new gun owners in the future. 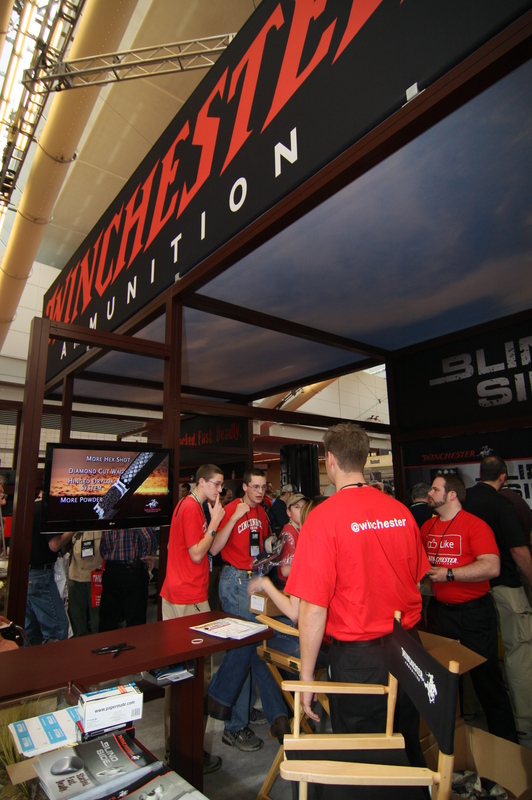 NRAAM is just a couple of weeks away in St. Louis, and we’ll be there providing coverage! The N.U.G.U.N. 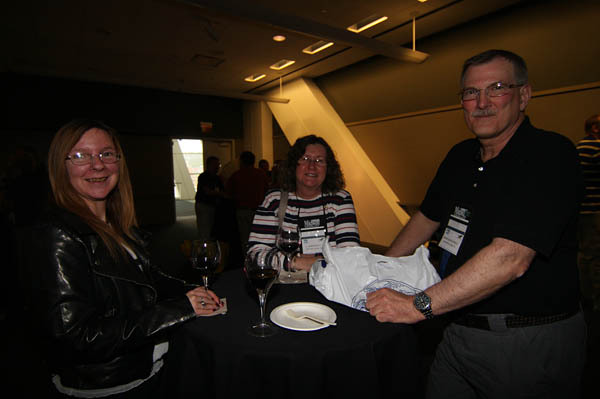 Blog will once again be covering the event. This year we are hoping to two something slightly different. I will be attending with two of my nephews who are fond of history and in recent years we have introduced to firearms. They will be covering the event with me, and answering their own questions regarding firearms, gun control, and the NRA. If any of our readers have an HD camcorder that records to hard drive (or large format memory card) that we can borrow, please contact me via email. Thank you! Anyone up for a .357 pellet gun? It doesn’t have the 20 round capacity of the Lewis & Clark rifle. Rather it uses a cylindrical cartridge system. Which can be seen at the bottom of the following photo. 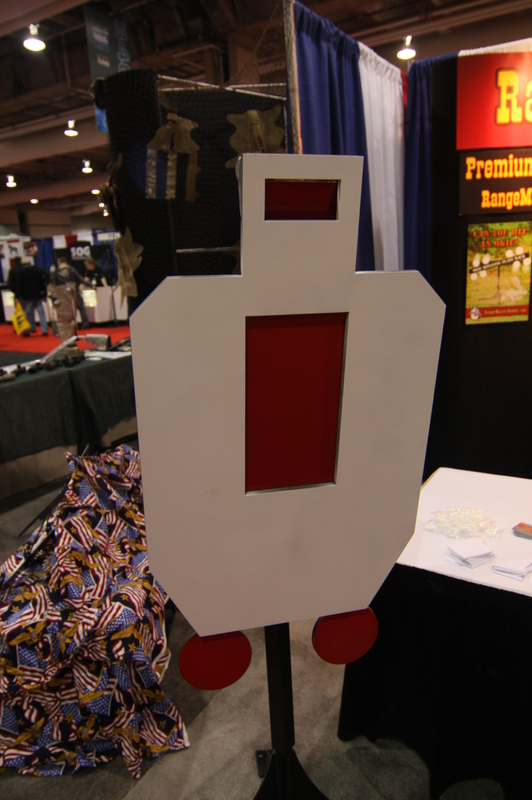 The pressure capacity, will allow for up to 20 shots to be fired. The unit uses pressurized CO2 (usually from something like a SCUBA tank). This was one area of slight disappointment. I’d love for a manual means of pressurizing. But I understand the difficulties involved in that. 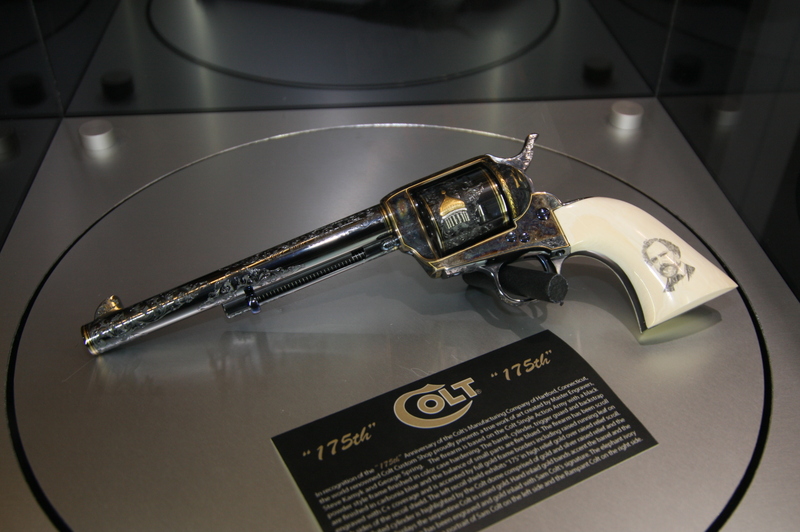 It does not use an ordinary .357 bullet, rather it fires a special pellet in 357 caliber. 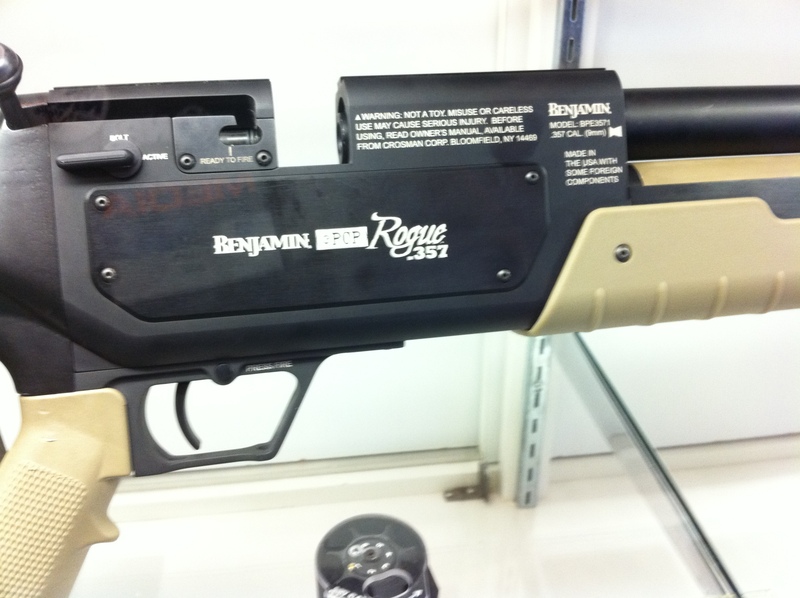 The Benjamin 357 has been used to take down prey as large as wild boar. 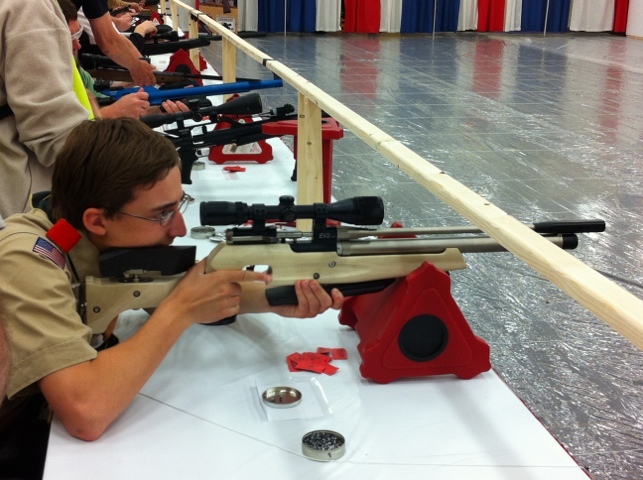 Sadly, Pennsylvania does not allow the use of air rifles in hunting. It’s something I’d like to see changed, as I believe it to be a bit archaic of a law. 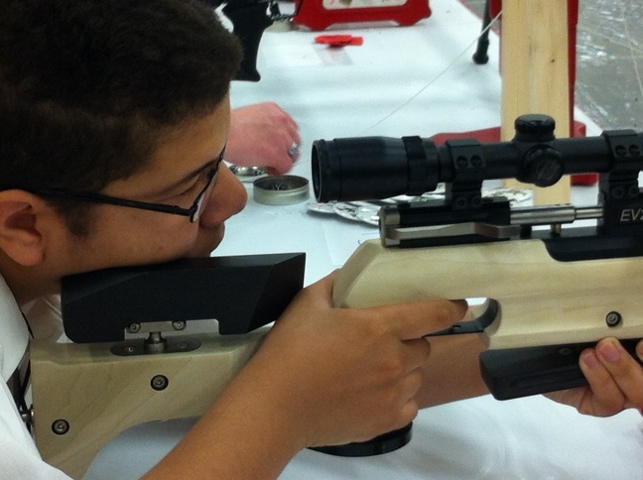 Air rifles have come a long way since the Red Ryder BB gun era. Many new models are pushing pellets at 1,200fps. 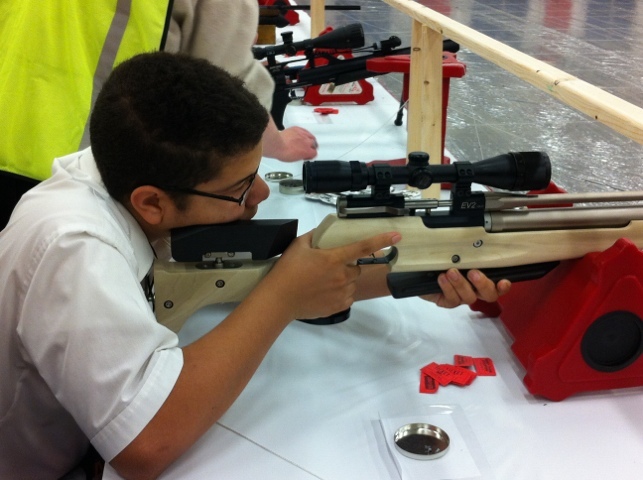 And there are a handful of big bore air rifles pushing very large projectiles at 600fps-800fps. The law should be reconsidered to designate what game can be hunted with what air rifles, and what are the minimum operating specifications (ie: 1,200 fps with x ft lbs of force). 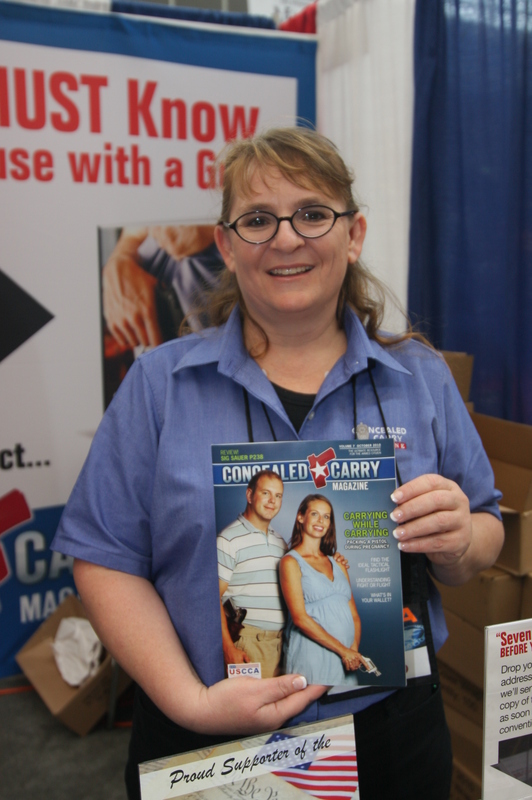 The Cornered Cat (Kathy Jackson) at the Concealed Carry booth. Life’s been busy, I do apologize that it is taking me so long to get these posts up. A neat gun safe. Not sure if this is really practical space wise. But for those with lots of space who want something a little different. 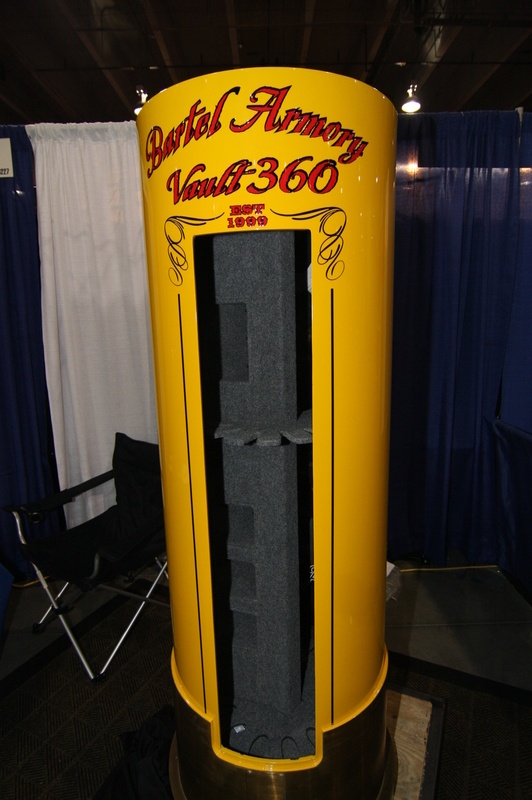 Also could be a nice safe for gun ranges to put their rental guns in, especially if they’d build one with polymer walls. 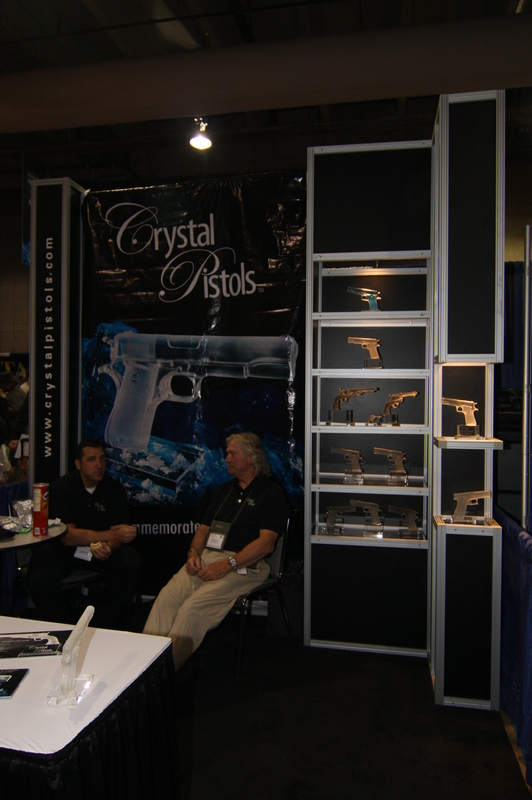 Crystal guns. 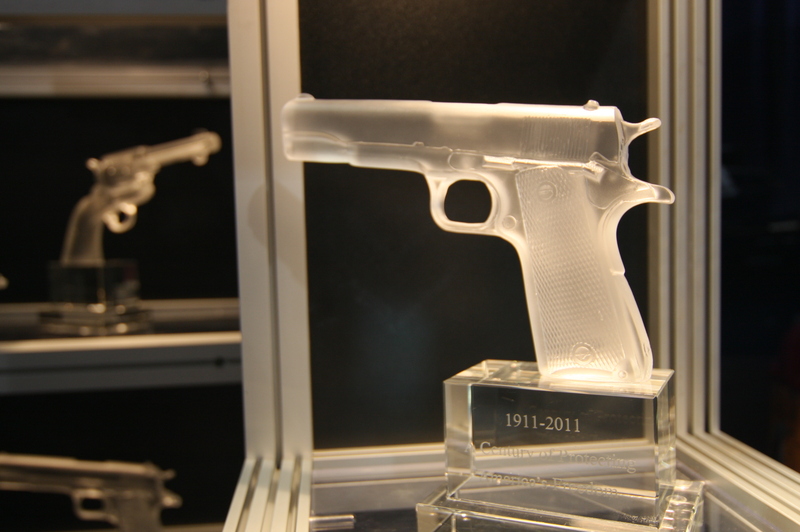 Makes for a nice competition trophy or award for those who have expended much effort protecting our 2nd Amendment right. 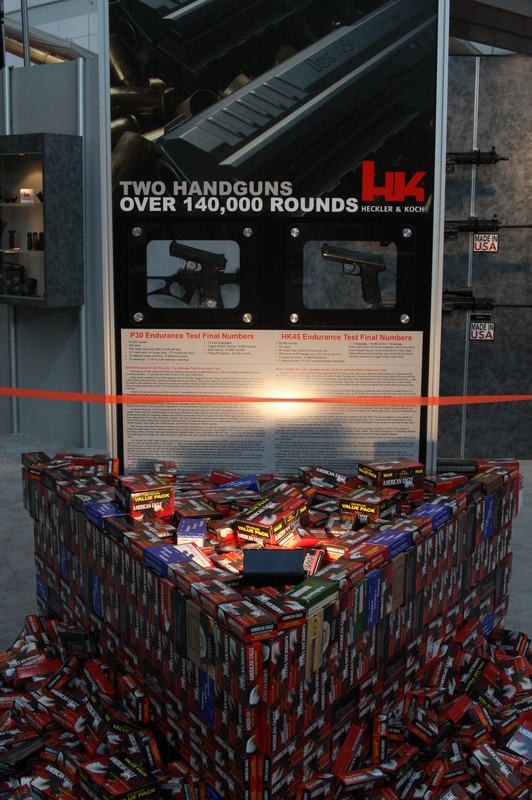 HK, because a 100,000 rounds wasn’t enough. LaserLyte’s booth. They have a new laser for the LCP. It clips on the side. The laser button is not activated by grip, rather it’s on the side. It encourages your trigger finger to be safely on your slide. I bought my wife a rainbow Kershaw, it’s a beautiful knife with an impressive blade. Can cut a piece of paper. 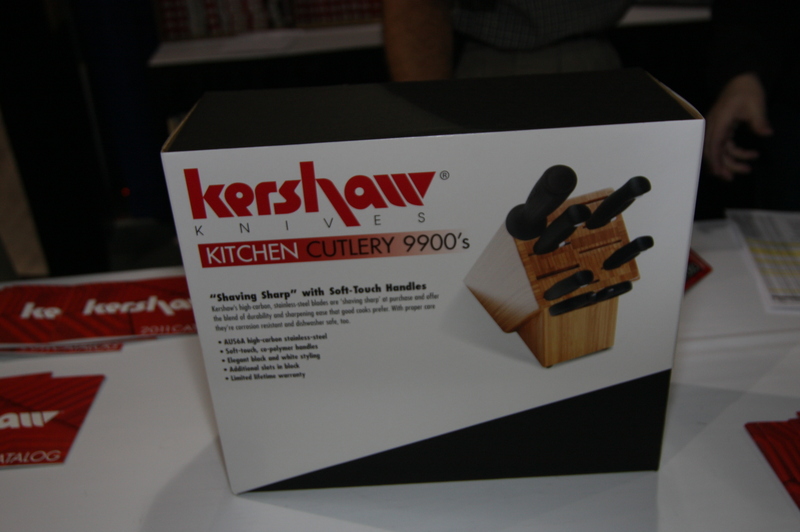 But I was unaware of the fact that they make kitchen knives. I believe I will have to pick up a set of these. Metal targets. They had a variety of configurations. 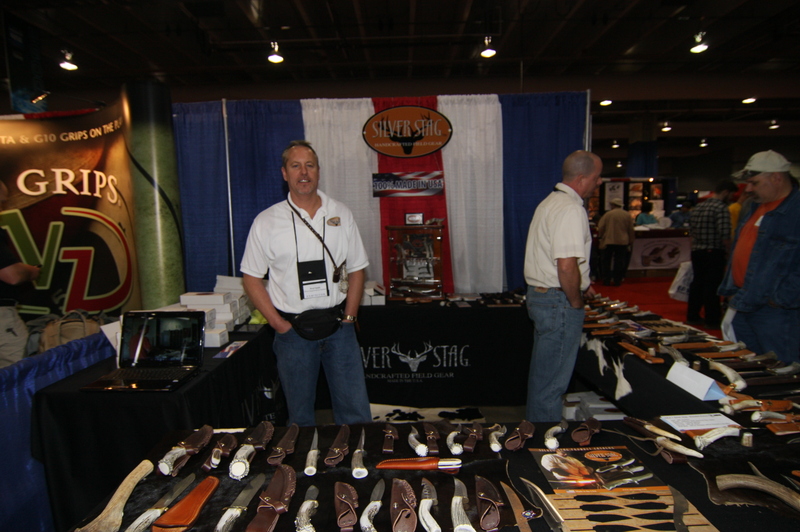 Interesting new holster manufacturer. Really wish I could have gotten one of these to test. I’ve contemplated the use of neoprene in a few holster ideas I’ve had. This was the first holster I’ve seen to use it. Looked comfortable. My only thoughts on the design is that it only had one clip. I’d love to see a two clip version. Second, they use a fabric to provide a generic retention. I’d like a firmer protective retention device. 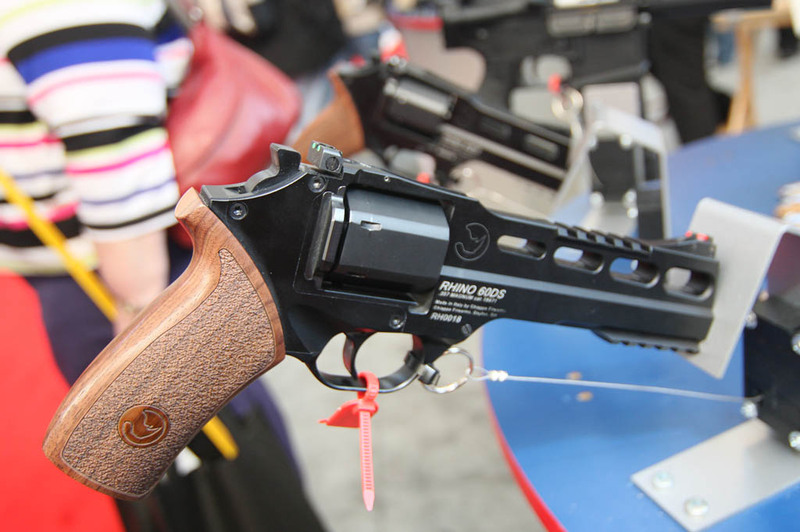 One that would remain open for re-insertion into the holster as well. Regardless, I love innovation and wish these guys luck. New Zombie targets. 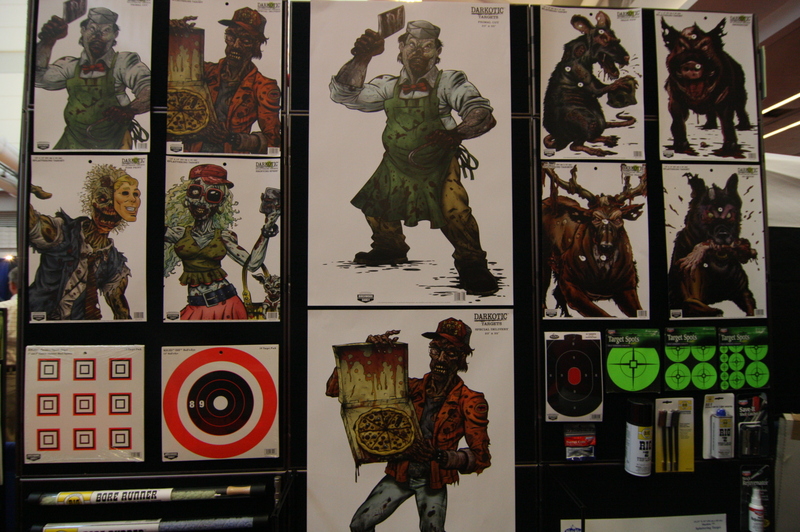 High color, and some of these are even splatter targets. (I wonder if they show the typical flourescent color or blood red?) I wonder if these will be showing up in Walmart soon?